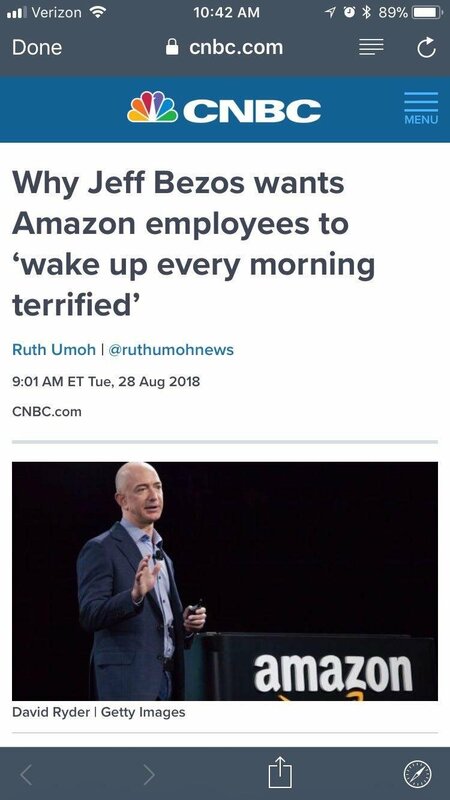 Jeff Bezos wants Amazon employees to "wake up every morning terrified"
Could you bring all your money to your grave or to afterlife? Good job CNBC for a sensationalist headline. Good job OP for posting an image of a sensationalist headline instead of the article that explains it. "For Amazon to remain competitive in the future, employees needed to be scared of no longer being the best and commit to "constant improvement, experimentation and innovation in every initiative.""